Reserve Your Spot. Classes Fill Up Fast. We have many returning students each session. Please call Kent Harris at 806-282-2275 for availability. Our class give potters of every skill level an environment to grow. 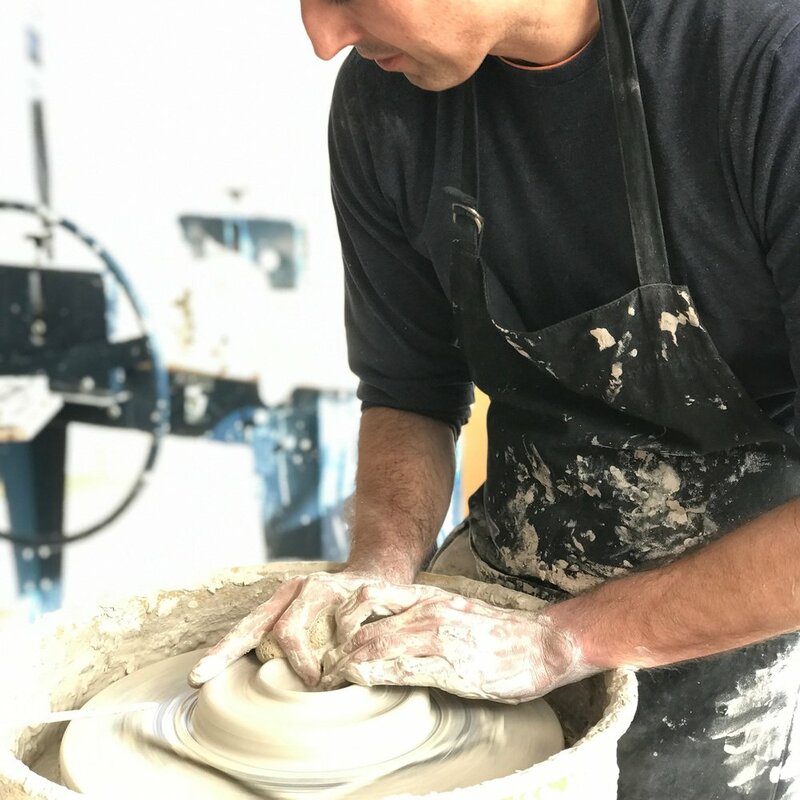 Even if you’ve never fired a pot, we’ll help you learn everything you need to know to create beautiful pottery. By the end of the session, you’ll be creating your own personal works of art! Classes are six sessions over a period of seven weeks. This allows our pots to dry during the sixth week before we glaze them in the final class. 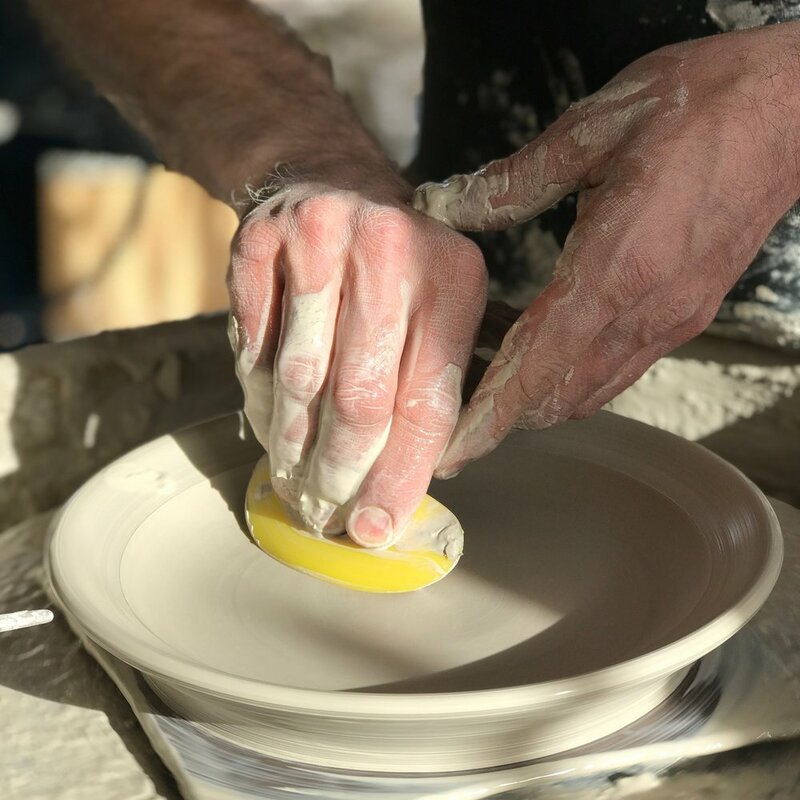 Each class includes two hours of hands-on instruction time and, for wheel classes, two hours of "Open Studio" per week. Along with instruction, tuition covers the use of clay, basic tools, and equipment. The glazing and firing of ten small to medium size pieces is also included. Please bring an old towel and apron in a bag to every class. Make-up Policy: There will be no make-up sessions and no refunds for missed classes. Please plan to attend Open Studio on a Saturday to finish work if you will be missing a weekly class. Classes are six weeks, but they are scheduled over a time period of seven weeks. 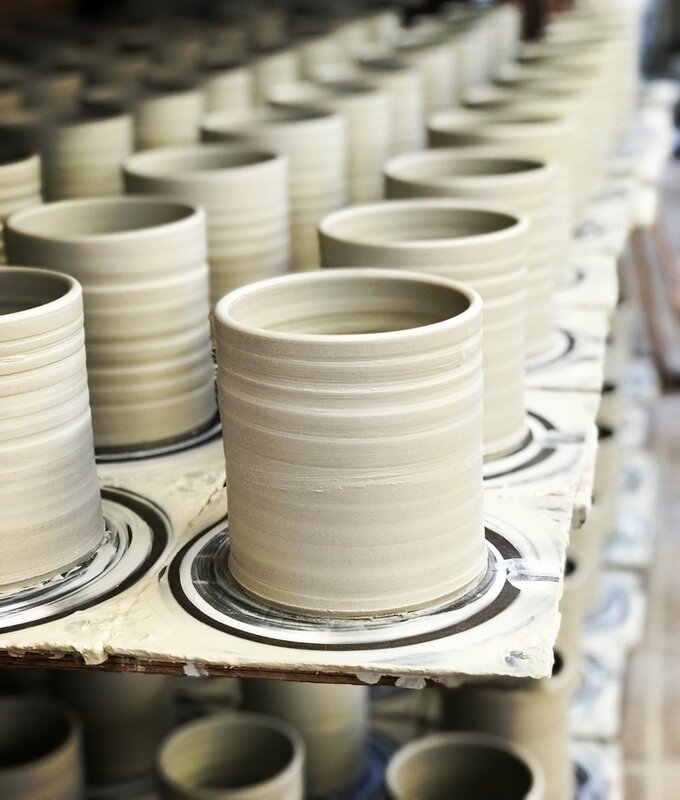 This allows us to take the sixth week off for drying before pots are glazed in the final class. This includes two hours of instruction time + two hours of non-instruction "Open Studio" per week (Wheel Classes Only). The tuition also includes the use of clay, basic tools and equipment. The glazing and firing of ten small to medium size pieces is also included in the tuition. 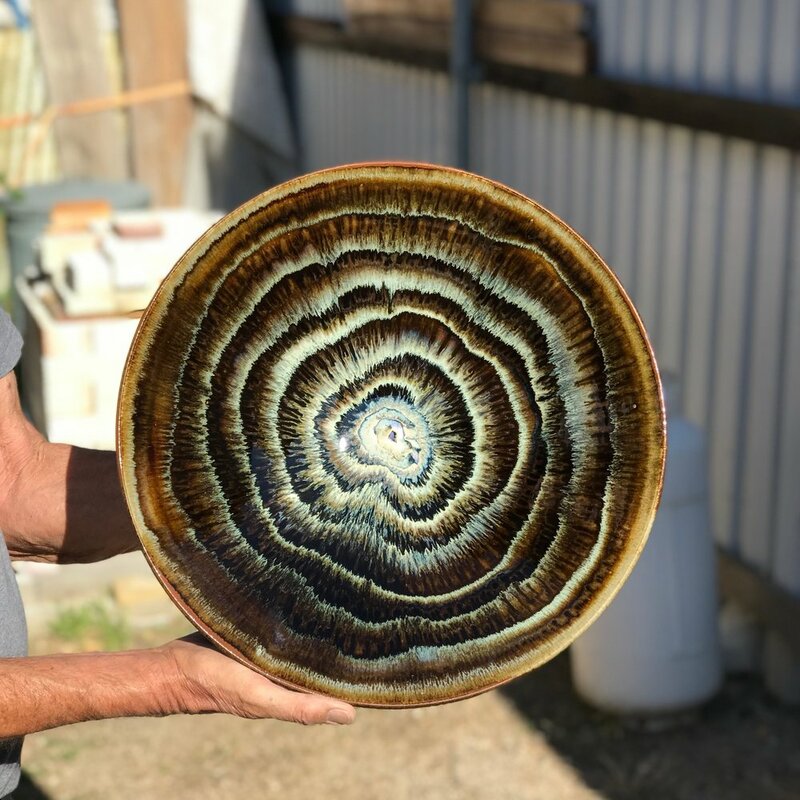 If you wish to fire more than ten pieces or fire large scale work, you will pay a glaze and firing fee. If you would like specialty tools, we can recommend where to purchase those. Please bring an old towel and an apron in a bag to every class. Mondays 6:30 to 8:30 p.m.
Wednesdays 6:30 to 8:30 p.m.
Thursdays 6:30 to 8:30 p.m.
Join our newsletter to be notified about new class sessions and special offers, and events.